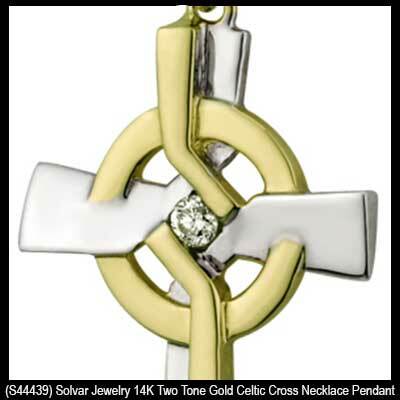 Gold Celtic cross pendant is a 14K white design that features Trinity knots along with a diamond. 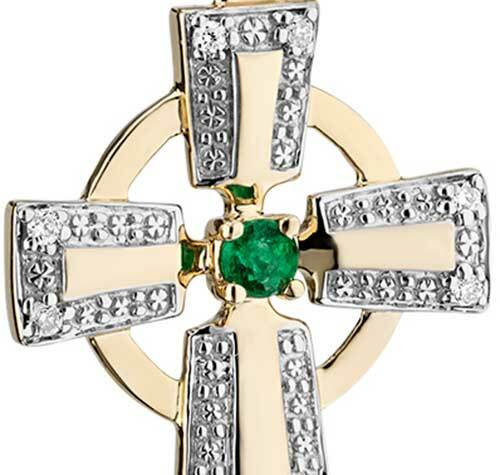 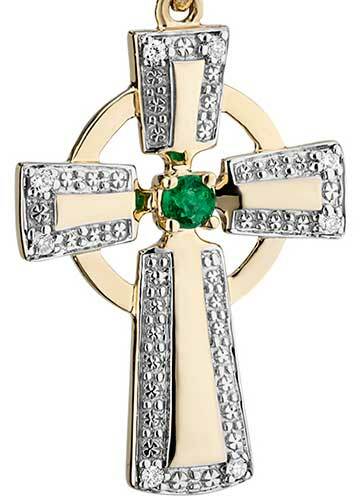 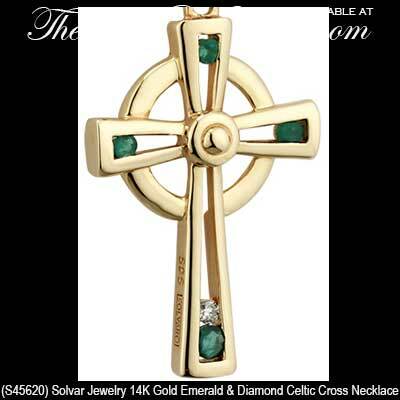 Celtic cross necklace is a 10K gold design that features a center emerald along with diamonds that are set in the corners of the white accented border. 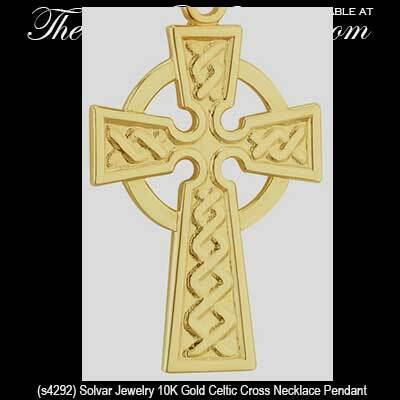 Our gold Celtic cross necklaces are available in yellow, white or as a combinations of both gold colors. 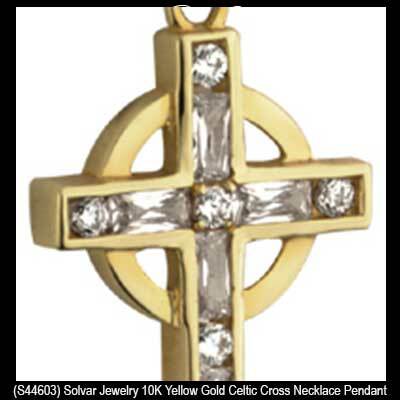 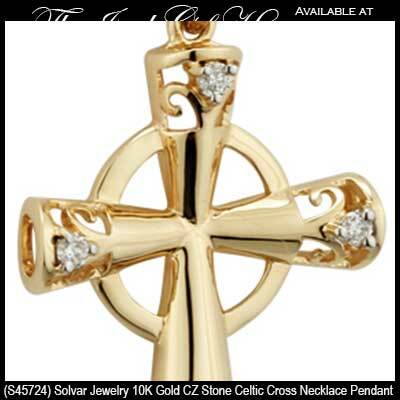 Most of our gold Celtic crosses are cast in 14K, but we also have selections in 18K and in 10K. 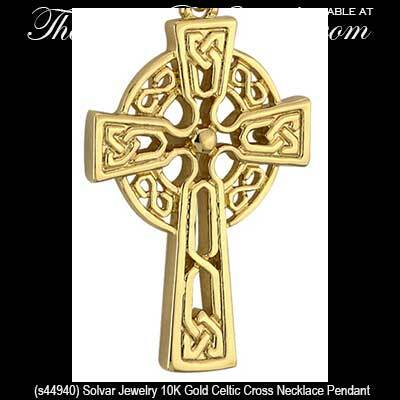 You will find that the selections offered in this section are styled and sized for women; please look at our Celtic cross necklaces for men to find our masculine designs in sterling silver along with gold pendants that are available in both 14K and 10K. 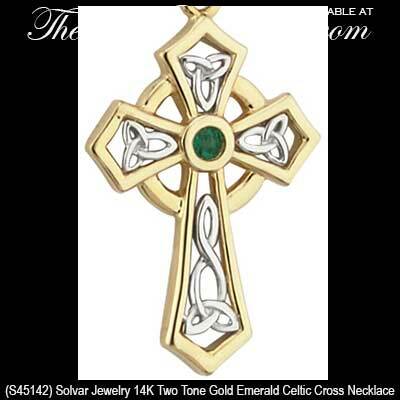 Within the gold tone we also have an assortment of plated Celtic cross pendants that are available in various sizes. 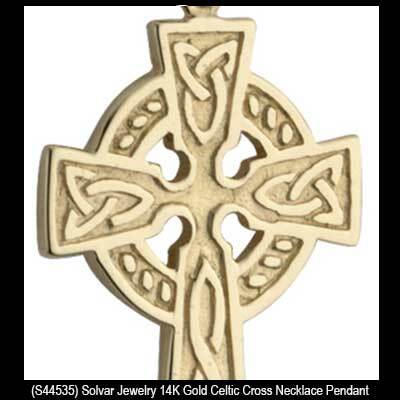 Additionally we also have an assortment of sterling silver Celtic cross necklaces with gold accenting; these designs really have a unique look considering their contrasting metals. 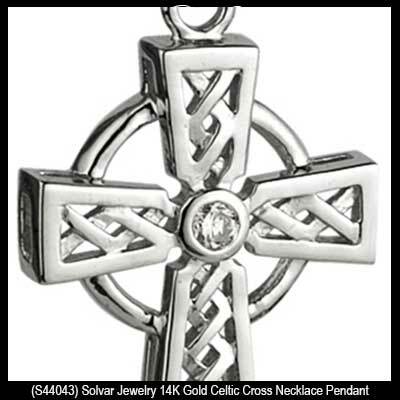 For additional distinctive designs you may wish to look at our assortment of Connemara marble Celtic crosses where they are all assembled on one page for your convenience. 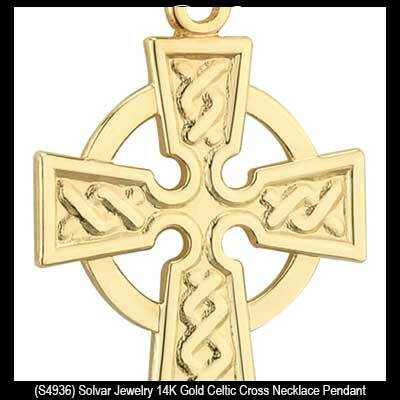 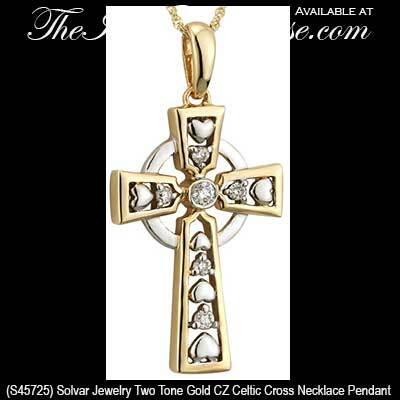 The collection of gold Celtic cross necklaces that are available at The Irish Gift House are made in Ireland by Solvar Jewelry along with several from TJH.